When you open up a new issue of What Car? what page do you turn to first? Perhaps it’s the glossy group tests that catch your eye? Or the early access first drives that give you a glimpse of the latest cars? Both, of course, are good choices, but my personal preference has always been to flick to the back pages and digest the facts and figures of our long-term test fleet. Why? 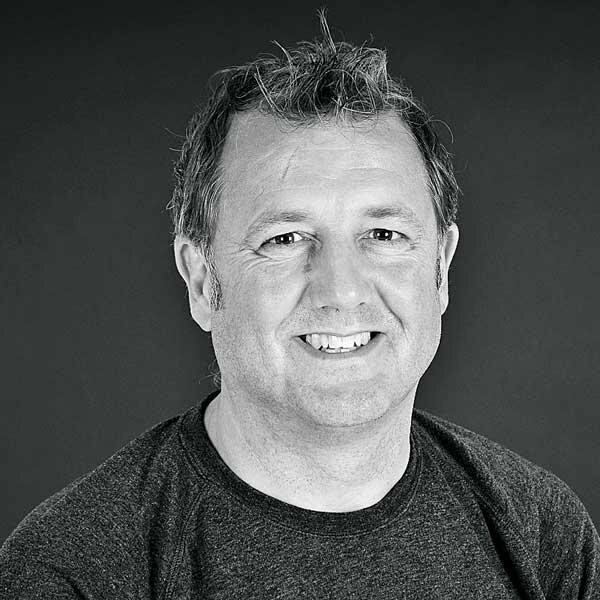 Well, most reviews or first drives give you a good insight into a new car in ideal conditions, but a long-term stint allows you to really immerse yourself in the ‘ownership’ experience. Not only do you pick up on little niggles that only become apparent after prolonged stints behind the wheel, but you can also end up bonding with a car in a way you perhaps didn’t expect. My last long termer, the Skoda Octavia 1.4 TSI SE, is a perfect case in point. It didn’t have a lot of power, looked rather bargain basement on its 16in wheels and came with virtually no options. But by the time it came to give it back, I was really rather attached. It just did everything so well – so well, in fact, that I was convinced that its replacement wouldn’t be able to hold a candle to it. 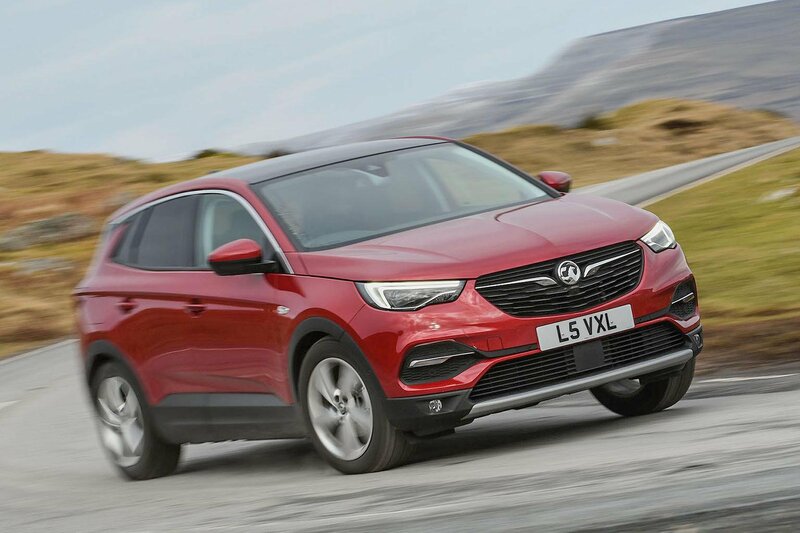 That feeling didn’t subside when the Vauxhall Grandland X (which, we’ll call from hear on out, the Grandland) turned up. I couldn’t help but feel that it was simply a blander, cheaper version of Peugeot’s successful 3008. Indeed, it sits on the same platform as the 3008, shares its engines and is even built in the same factory in France. I was determined, however, to give the Grandland the benefit of the doubt. So to give this so-called ‘lifestyle’ vehicle the best possible opportunity to shine, I decided to take it on a skiing holiday to Switzerland. After all, there is no better way to get acquainted with a new car than to spend some serious time behind the wheel. So what did I learn? Well, after 1600 miles of driving my wife and I were certainly glad that we had opted for the optional Winter Pack Two, which brings heated front and outer rear seats, and a heated leather-covered steering wheel. After braving the Baltic conditions of the Swiss Alps, it was an absolute joy to jump inside and turn up the heat. Moreover, the seats themselves were excellent, with standard fit lumbar support ensuring that neither of us experienced an ounce of backache after 600 miles of non-stop driving. And better yet, we never got lost, thanks to Vauxhall’s intuitive and fuss-free sat-nav system. Of more concern to us was the compact engine under the Grandland’s bonnet. 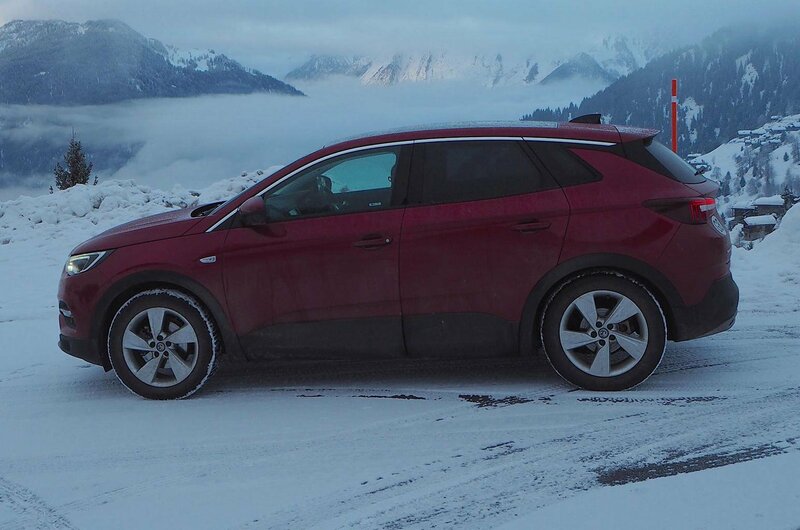 This is the same 128bhp 1.2-litre petrol engine we recommend in the 3008, but I was a little apprehensive about tackling steep Swiss alpine roads with a fully loaded car. As it turned out, our fears were not completely unfounded. On the wide and flat French toll roads, the Grandland sat comfortably at the 80mph (130km/hr) speed limit with enough oomph in reserve for the odd overtaking manoeuver. But once we were on steep switchbacks, the motor’s sluggish accelerator response instantly revealed the limitations of having such a small, relatively highly tuned engine in such a large vehicle. Yes, if you select a low enough gear, it will pull you up almost any gradient of slope at a reasonable pace, but I wouldn’t say it does so with ease; factor in a six-speed gearbox that has a long throw and notchy action, and changing gear smoothly is almost impossible. I am also hesitant of praising the Grandland’s ride because my long termer is currently fitted with all-weather tyres, which were essential for the trip but aren't conducive to assessing a car’s ride. Worry not, though, as they’re coming off later this month to be replaced with more appropriate rubber. 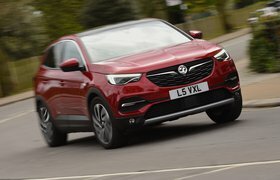 And once they’ve been fitted and I’ve spent some quality time on some proper British B-roads, I’ll give you a full breakdown of the Grandland’s ride and handling. It's early days, then, and so far the Grandland seems to be a bit of a mixed bag. But despite my criticisms, I’m rather warming to the big Vauxhall: it’s big, simple and practical. 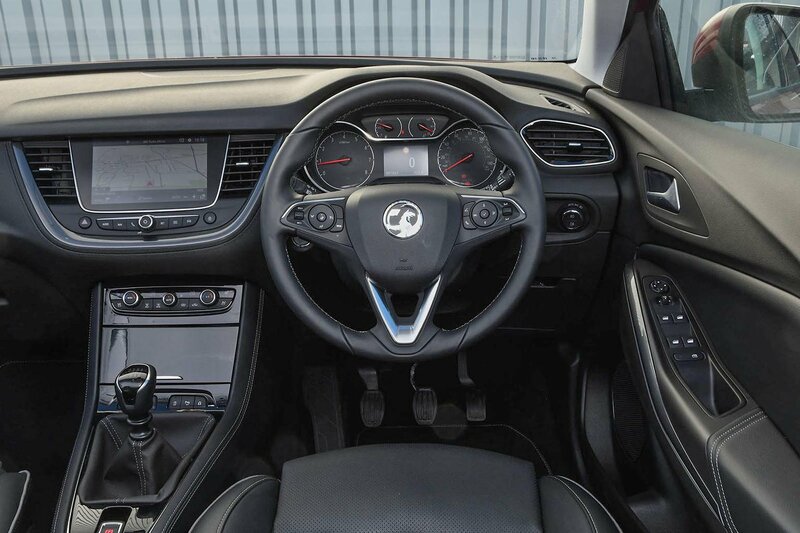 In a market that's getting more crowded every week, though, is that enough to make the Grandland X stand out? Well, we certainly plan on finding out.